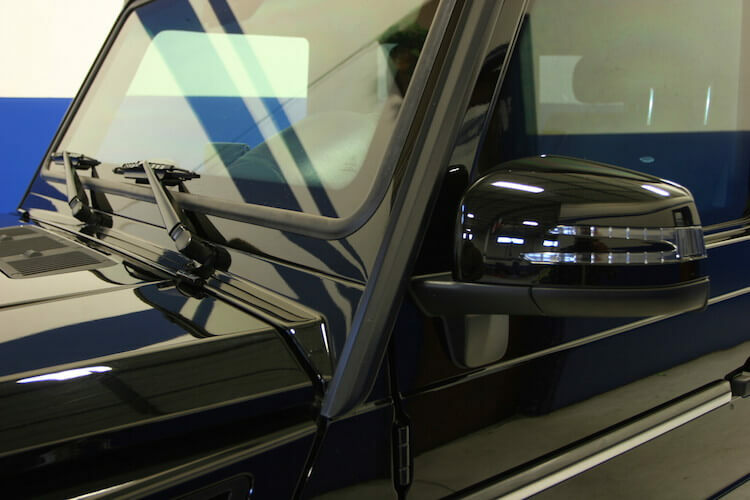 Our team prides itself on stepping up to the various challenges that our customers face and offering the best bullet proof protection available all around the world. 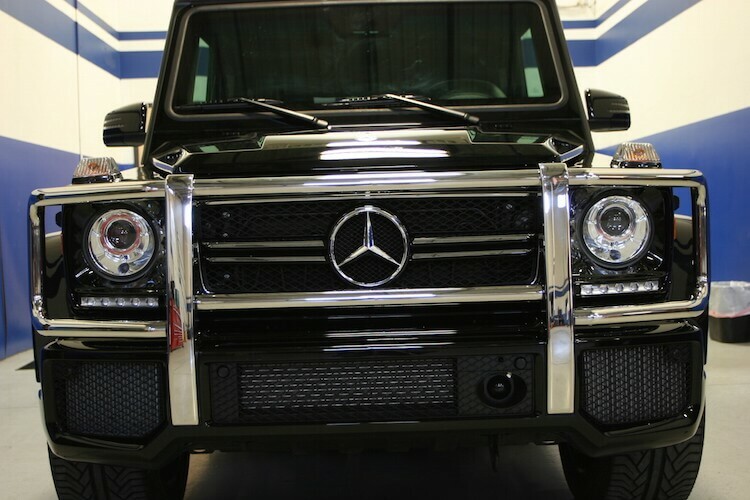 The latest armored Mercedes Benz G63 AMG model is no exception. 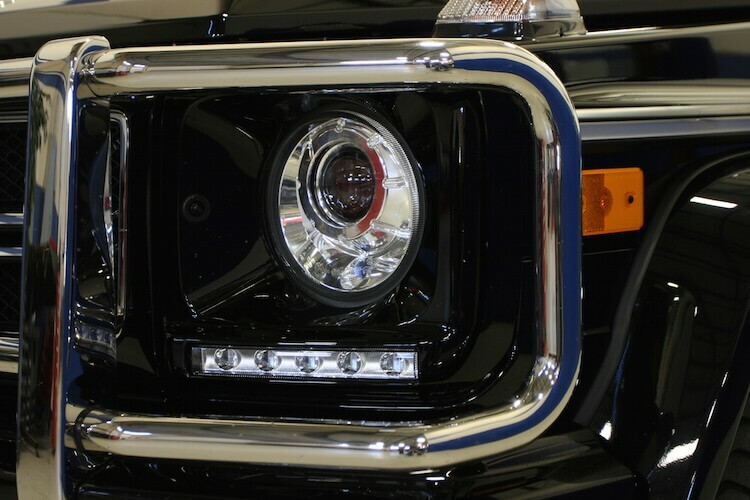 Maybe it’s the appeal of owning a vehicle that’s commonly associated with celebrities and wealthy business owners – this vehicle offers a lot to be desired. With over the top luxury features that Mercedes included at every phase in the design and manufacturing process make this G-Class a rational choice among any number of modern sport-utility vehicles. This bulletproof Mercedes G63 model is also very common in West Africa, Angola, and Russia making it well liked for its ability to blend in but also for the power and style it provides. 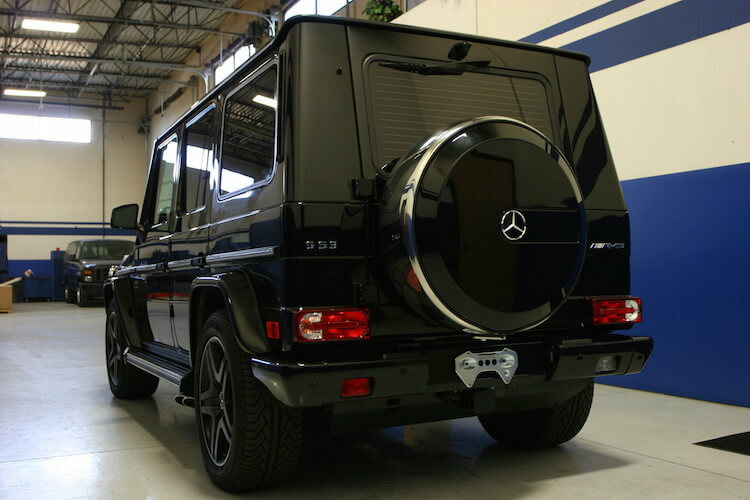 The 2014 Mercedes-Benz G-Class is a large, five-passenger SUV. It’s available in two trims: G550 and G63 AMG. Standard features for the G550 include 18-inch alloy wheels, xenon headlights, foglights, LED running lights, power-folding heated mirrors, a sunroof, automatic wipers, front and rear parking sensors, adaptive cruise control, a blind-spot monitoring system and keyless ignition and entry. Inside, you get full power accessories, dual-zone automatic climate control, leather upholstery, 10-way power front seats, driver memory functions, heated front and rear outboard seats, ventilated front seats and a power tilt-and-telescoping steering wheel. Also standard are the COMAND electronics interface with a 7-inch display, a navigation system, voice commands, a rearview camera, Bluetooth phone and audio connectivity and a 12-speaker Harman Kardon surround-sound system with six-CD changer, USB/auxiliary audio jacks, HD radio, satellite radio and 10GB of music storage. 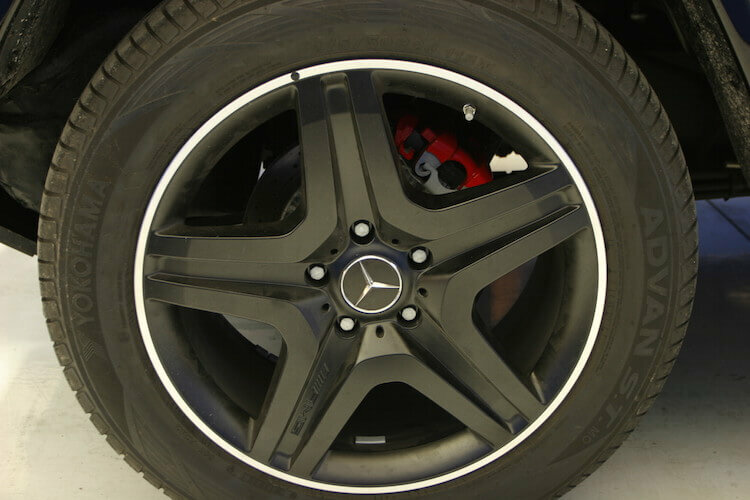 The G-Class provides a smooth and comfortable ride as traditional SUVs go, though on the highway, its upright stance and all-terrain tires conspire to generate a fair amount of wind and tire noise. Driven around turns, the tall and narrow G doesn’t inspire confidence, and it enjoys the dubious distinction of being the slowest vehicle on record in the Edmunds slalom test, thanks in part to a highly intrusive stability control system. Moreover, the steering is slow and doesn’t return to center quickly, since this vehicle is set up for off-roading. 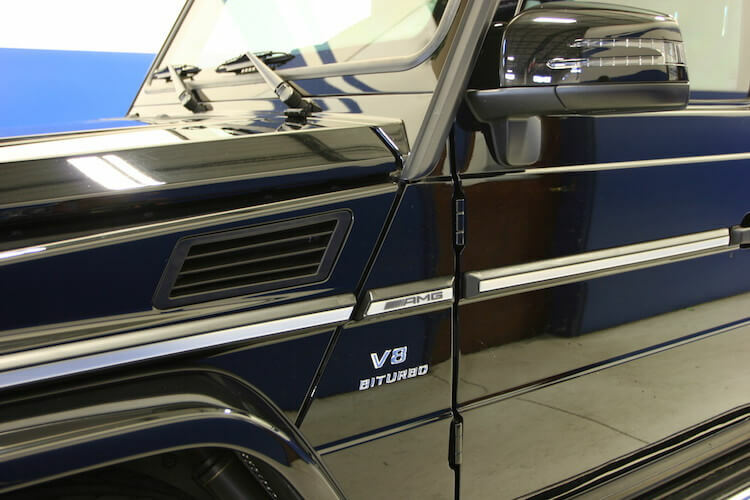 You can see more pictures of this armored Mercedes Benz G63 (including G55 / G550 models) and other armored vehicles on our website. If you are looking to armor a high end vehicle or any other make/model please call our sales team at +801-393-1075 to speak with us about getting you the exact armoring packages that you need.